It was an event that even shocked the London folk-rockers. 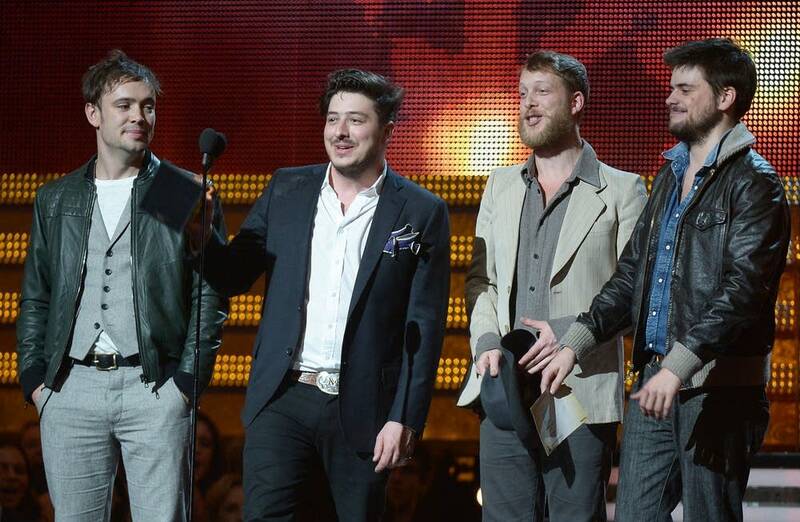 "We figured we weren't going to win anything because The Black Keys have been sweeping up all day, rightfully so,'' Marcus Mumford said. Dan Auerbach of The Black Keys ended up the night's top winner with four trophies, including producer of the year and three rock category victories with bandmate Patrick Carney. But it was hardly a clean sweep as The Recording Academy's thousands of voters spread the love for the year's top singles. Fun. took home major awards best new artist, in something of an upset over Frank Ocean, and song of the year for the transcendent anthem "We Are Young,'' featuring Janelle Monae. Like Mumford & Sons, Gotye busted up the predictions, taking record of the year for 2012's top-selling single, the haunting "Somebody That I Used To Know,'' featuring Kimbra, and finished with three awards. 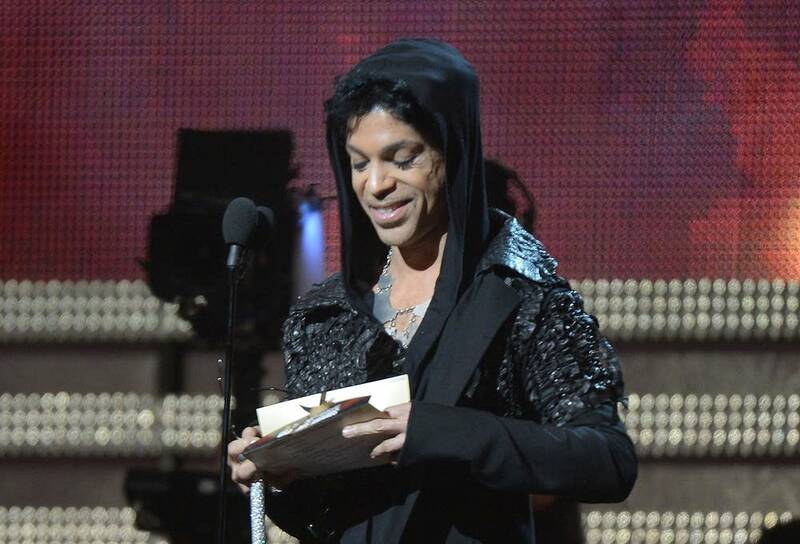 Prince, in hood and sunglasses and carrying a sparkly silver cane, presented him with the record of the year trophy and the Australian paid tribute to The Purple One's influence. Jay-Z and Kanye West had three wins -- sharing one award with Ocean -- along with Skrillex, and a slew of nominees had two wins apiece, including former best new artist winner Esperanza Spalding. Ocean was shut out in the major categories, but took home two trophies, including best urban contemporary album. Only Chris Brown, with whom Ocean scuffled last month, remained seated as the 25-year-old R&B winner walked to the stage during a standing ovation. Ocean beat Brown, who attended with girlfriend Rihanna, in the category. Ocean won also won best rap/sung collaboration for "No Church in the Wild'' with fellow top nominees Jay-Z and West, and The-Dream. The win came after victories for Jay-Z and West for best rap song and best rap performance for "... in Paris,'' another "Watch the Throne'' track. Ocean also performed his song "Forrest Gump,'' the love song written about a man that first started the buzz that led to his announcement that his first love was a man. "We Are Young'' helped fun. 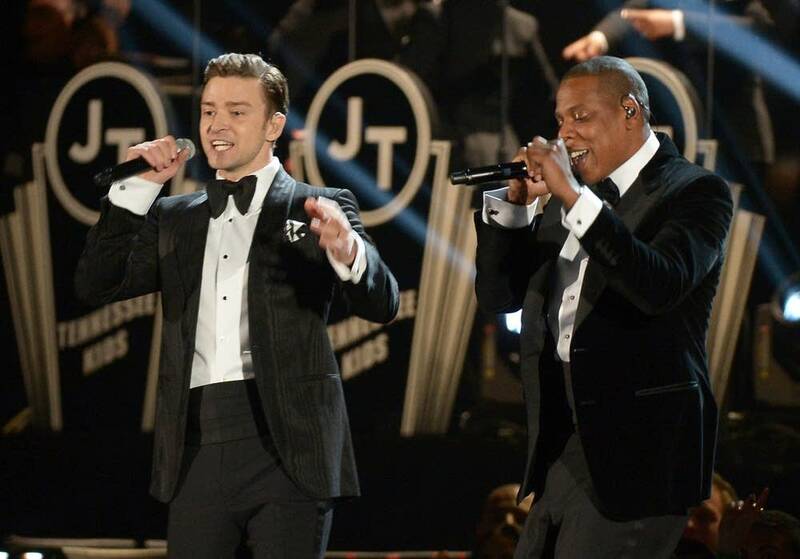 earn a starring role at these Grammys with nominations in all four major categories after the release of their first album, matched only by Christopher Cross in 1981, and six overall. 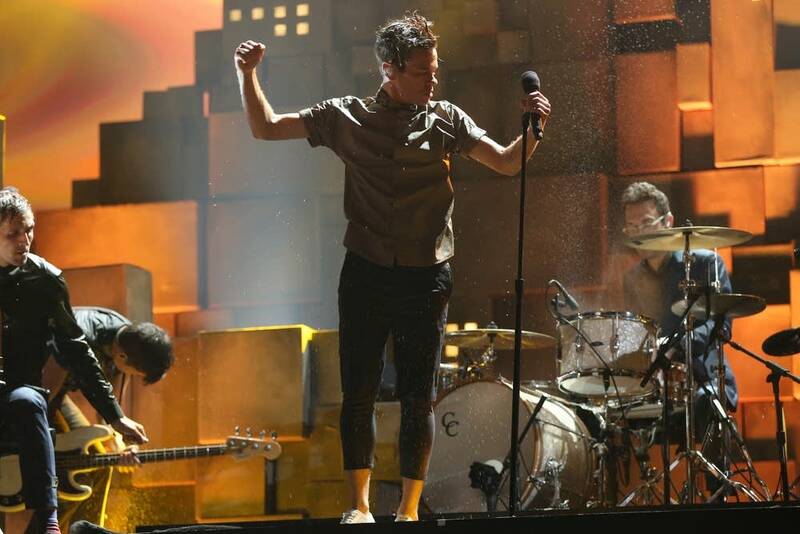 The band turned in a powerful early performance of "Carry On'' as a downpour on stage began mid-song and guitarist Jack Antonoff got a kiss from girlfriend "Girls'' creator Lena Dunham after winning. The Black Keys took best rock performance for "Lonely Boy'' during the main telecast and earlier in the day won best rock song for "Lonely Boy'' and best rock album for "El Camino.'' He also got an assist -- but no trophy -- on Dr. John's best blues album "Locked Down,'' which he produced. Other winners included Rihanna, Beyonce and Taylor Swift, who opened the show as the Mad Hatter. Swift dressed in white top hat, tails, shorts and tall boots during the surreal version of her hummable hit "We Are Never Ever Getting Back Together'' that included a troop of mime clowns and a guy on a tricycle with a flame-thrower attached. Adele won the first award of the night on the main telecast, taking home best pop solo performance for "Set Fire to the Rain (Live),'' in one of the night's least-surprising moments -- though the singer was somewhat taken aback. "I just wanted to be part of the night, because I loved it last year, obviously,'' she said of winning a record-tying six awards in 2012. Carrie Underwood won best country solo performance for "Blown Away'' and Kelly Clarkson turned in the night's most exuberant acceptance speech after winning best pop vocal album for "Stronger.'' After hugging much of the front row and momentarily getting stuck to Miranda Lambert's dress, Clarkson charged the stage with a giant smile. The Grammy pre-telecast awards show at the Nokia Theatre had 70 trophies up for grabs, including rock, pop, rap and country categories. Skrillex won best dance recording for "Bangarang,'' featuring Sirah, best dance/electronica album for "Bangarang'' and best remixed recording a year after winning those same awards in his first appearance at the Grammys. 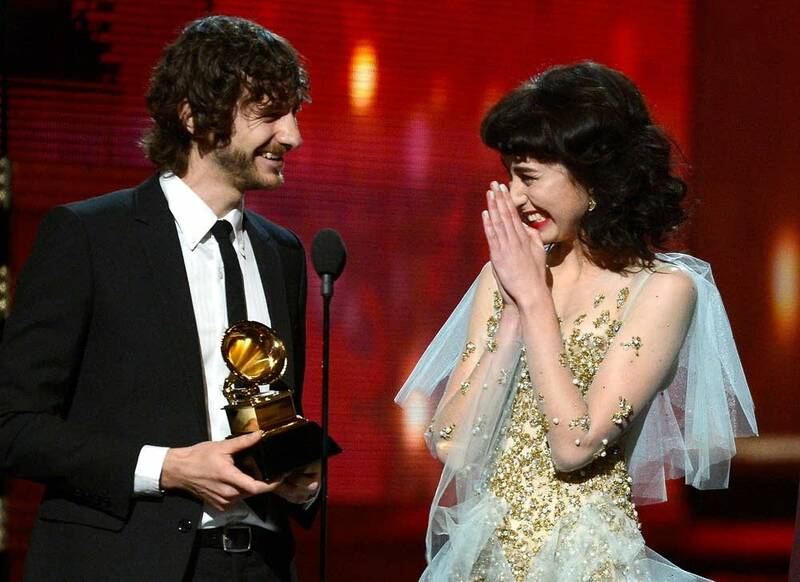 Gotye won best alternative album for "Making Mirrors'' and best pop/duo performance for "Somebody That I Used To Know,'' featuring Kimbra. Celebrities rolled down the red carpet in the early afternoon under heavy police guard during a continued manhunt for an alleged cop killer. Many stars showed a fair amount of skin despite CBS's mandate that stars dress appropriately with butts, breasts and other sensitive areas covered adequately. Nevertheless, Jennifer Lopez showed up on stage in a dress slit all the way to her hip. "As you can see, I read the memo,'' Lopez joked. AP writers Mesfin Fekadu, Sandy Cohen and Anthony McCartney in Los Angeles contributed to this report.